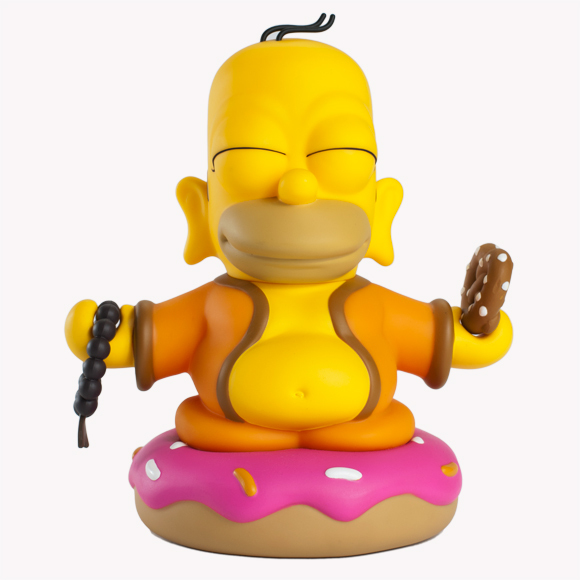 Long ears signify past wealth, a big head represents the disconnection between mind and body, a tuft of hair symbolizes great inner wisdom, and a giant fried dough topped with pink frosting and rainbow jimmies equals deliciousness. 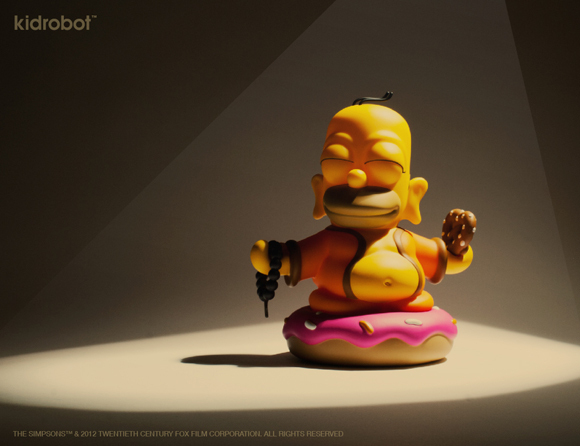 With a pretzel in one hand, and beads in another, Homer passes down the oral tradition of donut eating. 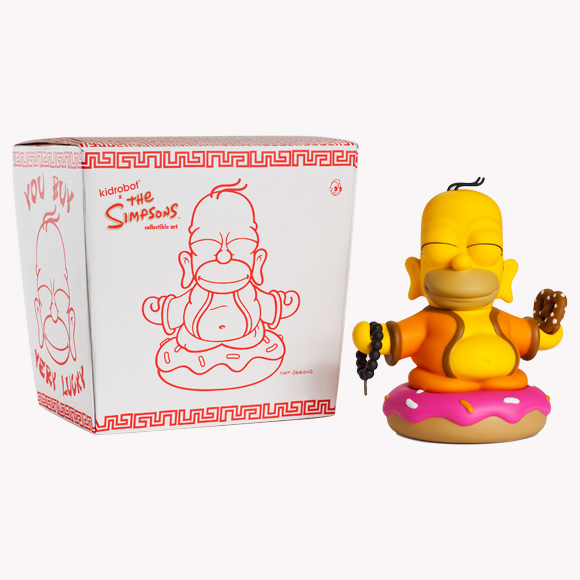 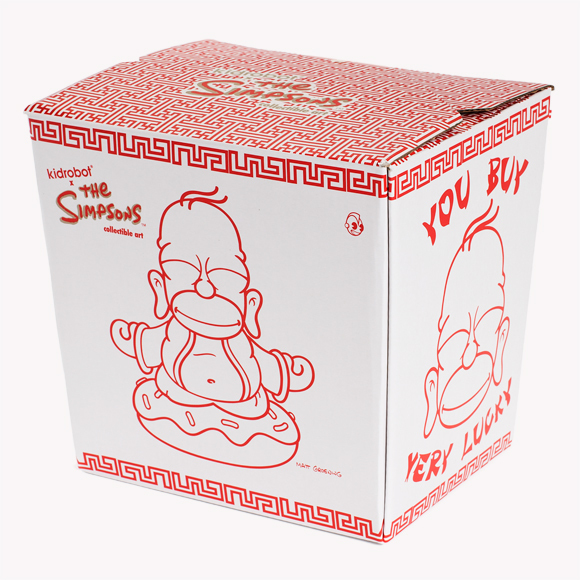 From THE SIMPSONS and Kidrobot comes Homer Buddha in 7-inch vinyl, inspired by THE SIMPSONS episode “Goo Gai Pan,” in which Homer poses as Buddha to gain entry into an orphanage in China. 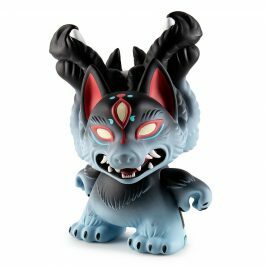 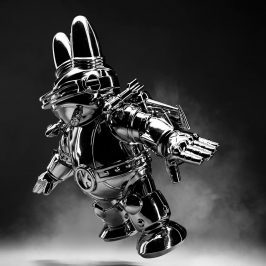 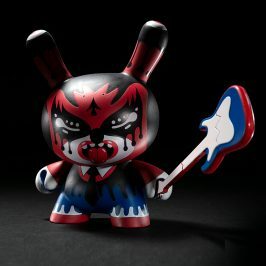 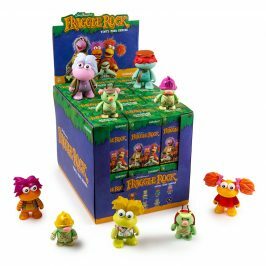 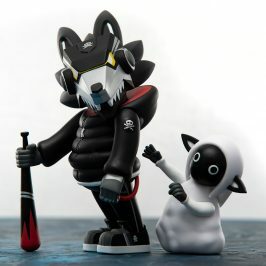 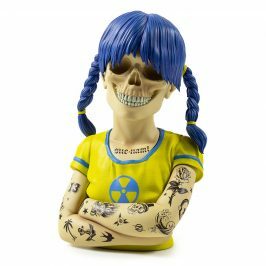 Available beginning September 6 for $50 US (£40.10 UK, €46.50 EU) at Kidrobot stores, kidrobot.com, and select retailers worldwide.